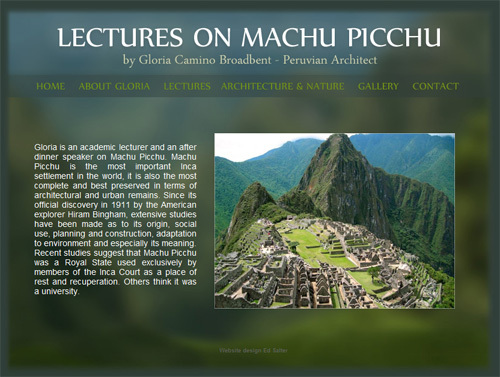 I have just finished a new website for a client who is a lecturer on Machu Picchu (an ancient set of Inca ruins in Peru). I used her photography to create a visually appealing website which aims to give the viewer an instant feeling of the scale and area surronding Machu Picchu. The site uses a content management system to allow the client to update the content themselves, it has also been optimised for search engines.